I am married to a Street Rodder. Among many traits, he is a man who looks beyond the vehicle he owns to the next best thing. It’s reasonable to expect that we wouldn’t keep the motor home we currently own for long. It is winter, and for several reasons we are unable to travel to sunnier weather. Gardeners aren’t the only people who brighten winter days by perusing catalogs. Ben has filled gloomy winter afternoons by trolling websites and trader magazines for a likely candidate to replace our rig. 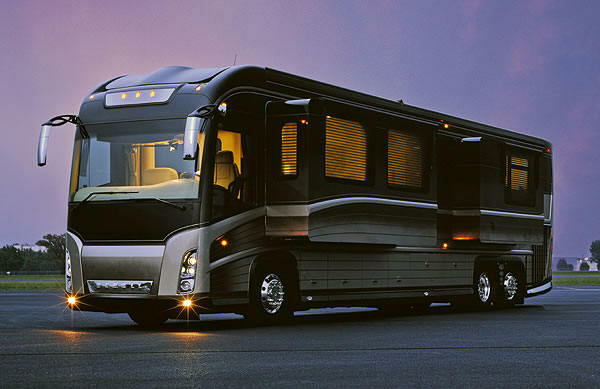 Purchasing a motor home features aspects of house and car buying. House-like because these things can cost anywhere from thousands to over a million smackeroos depending on your budget and standards, and they carry mortgages just like a home. Car-like in that the purchase is an exercise in instant depreciation; drive a new unit off the lot and lose thousands of dollars in an instant. Few people would spend money on a house that bleeds value before the ink is dry on the closing papers, but anyone purchasing a new motorhome has made that deal. Most of us mortals who want home amenities on wheels buy “pre-owned” rigs. Used rigs are plentiful but buyers need to be wary. What’s hiding under all that shiny paint? Rotten bones can be hidden in a glitzy package. Shoppers typically check RV mechanicals, look for rust and dents. The furniture, cupboards and fridge might be immaculate, but one bubble in the wallpaper can spell trouble on a huge scale. 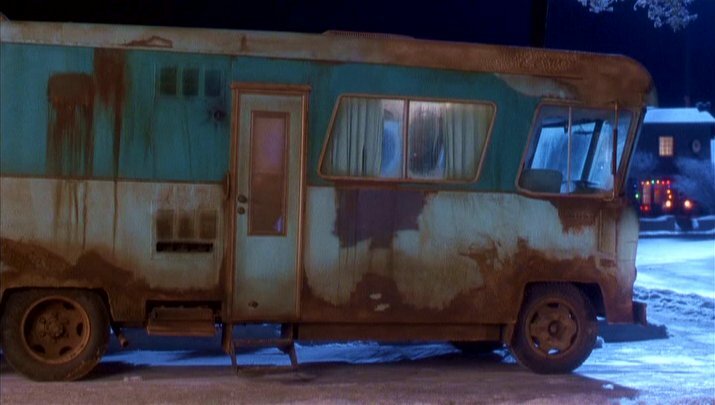 It’s the “house build” part of the RV that gets overlooked. We looked at one coach that had everything we wanted. The rig appeared to be immaculate; then we noticed a trim piece over the door was a different color than all the rest. Our inspector did an infrared scan of the coach which revealed interior walls to be soaked. The frame was wet, and moisture clung to the interior walls. He traced it to a roof leak that had been repaired, but the moisture that had collected in the walls hadn’t been addressed. In a matter of months, the whole coach would be filled with mold, not to mention the affect moisture could have on the mechanicals. Needless to say, the dealer who had the coach for sale was dismayed, not because he was trying to gyp anyone, but because he had taken the coach in trade without doing a thorough inspection. I had only learned about RV inspectors recently. I knew about house and home energy inspectors but I never considered asking anyone to look at a coach. Ben is pretty comfortable looking at the basics, but when we got to the point of actually making an offer, he decided to get a second opinion. To be sure, there are good inspectors and shysters, so choosing wisely is important. The guy we hired did a thorough multi-point inspection in addition to an infra-red scan. That is how we discovered the fatal flaw in what otherwise looked like the perfect coach. Makes sense. Home energy inspectors use infra red to check “stick and brick” houses for air infiltration and moisture problems that lead to mold and comfort problems. If you are going to buy a used coach, I recommend you get a good inspector to look it over prior to purchase. It will cost a couple hundred bucks, but can save you thousands in the long run.